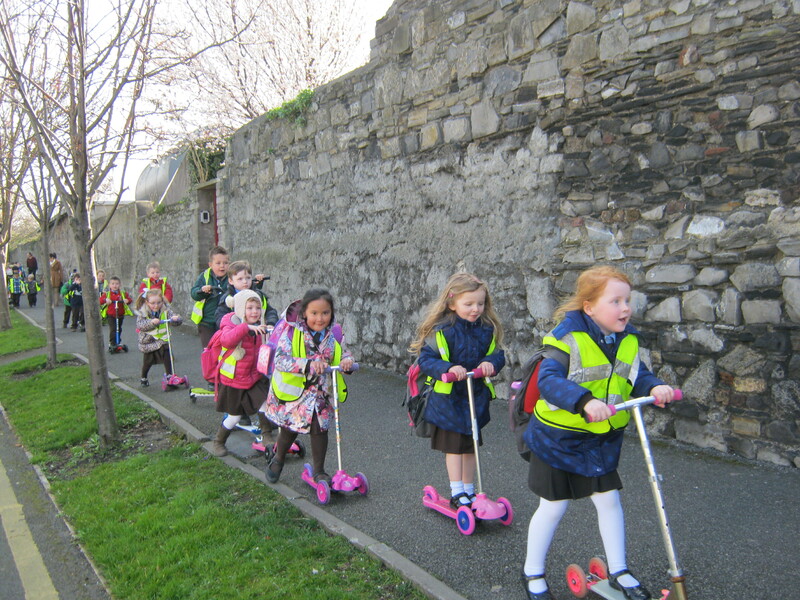 On the 12th of March 2014 we participated in national S.O.W day (scoot on Wednesday). We were really pleased with the results. Third class are doing surveys at the moment. 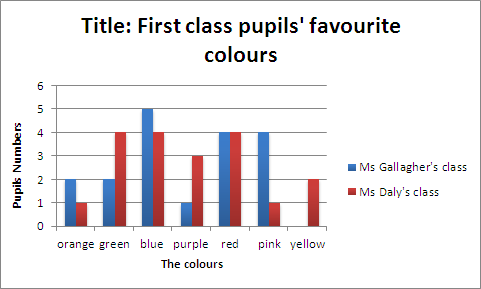 I did a survey in both first classes of what each pupil’s favourite colour was. 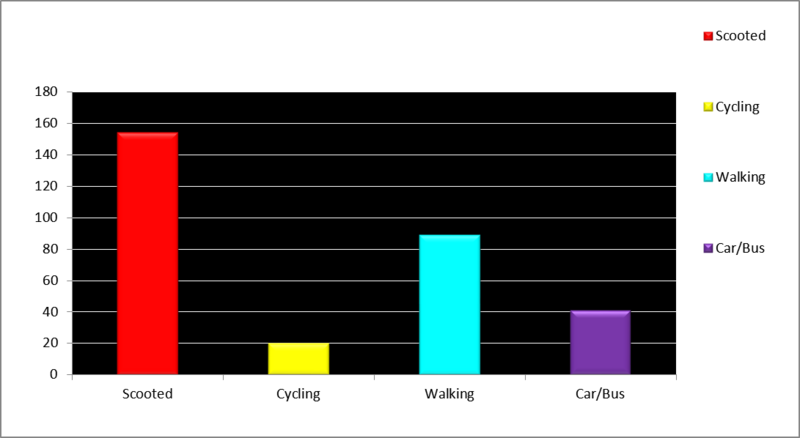 Here is the graph that I created. 1) What was the favourite colour in Ms. Gallagher’s class? 2) What was the least favourite colour in Ms. Gallagher’s class? 3) What was the favourite colour in Ms. Daly’s class? 4) What was the least favourite colour in Ms. Daly’s class? 5) Which colours had the same number of votes? 6) How many pupils voted for red in Ms. Gallagher’s class? 7) How many pupils voted for blue in Ms. Daly’s class? 8) How many pupils voted for orange altogether? 9) How many pupils voted in Ms. Daly’s class? 10) How many pupils voted in Ms. Gallagher’s class? 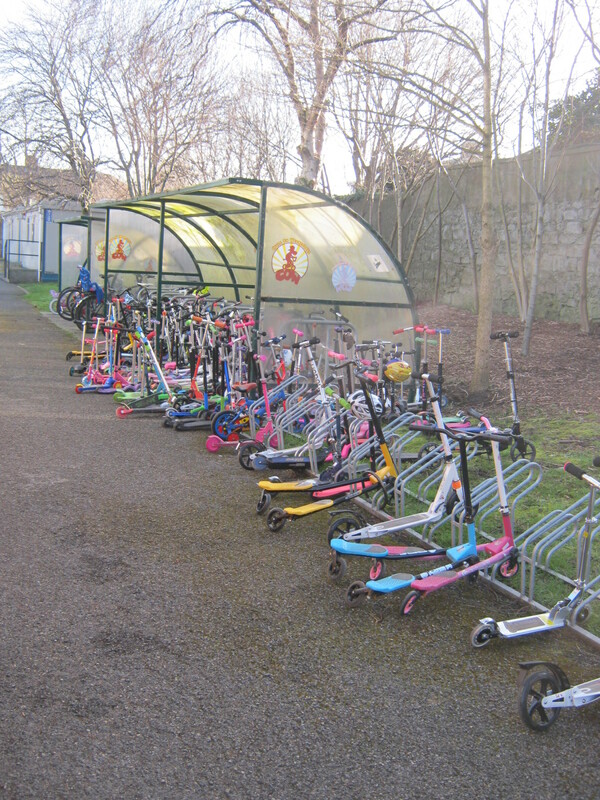 11) What was the number of pupils in Ms. Daly’s class and Ms. Gallagher’s class altogether? 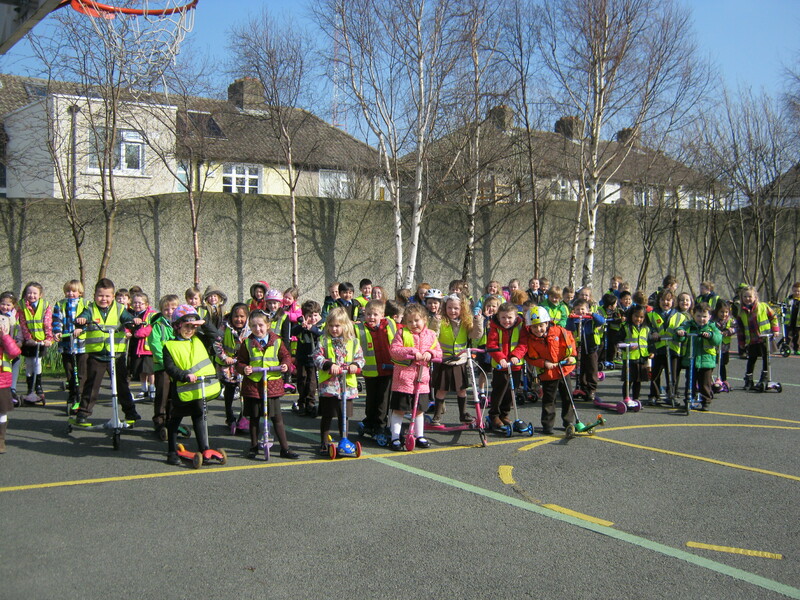 12) How many pupils voted for yellow and pink in Ms. Gallagher’s class?